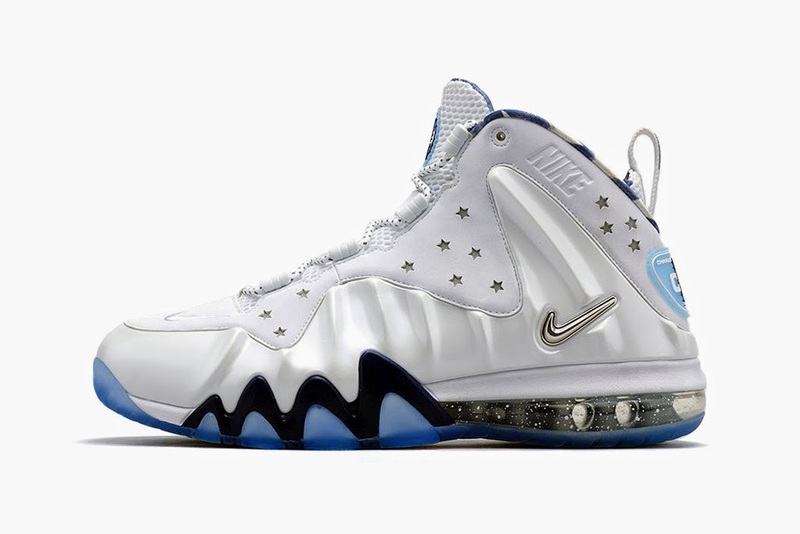 For what is sure to please the fans of Charles Barkley, Nike has released a new colorway of the Barkley Posite Max, which was originally released in 2013. The shoe features a white leather and foamposite upper, along with subtle hits of navy blue. A translucent sole is then utilized with a speckled air bubble to serve as support. Finishing touches include the subtle stars dotting the upper and the American flag insole. The Nike Barkley Posite Max will release at Nike’s online store and select stockists on August 1 for $235 USD.